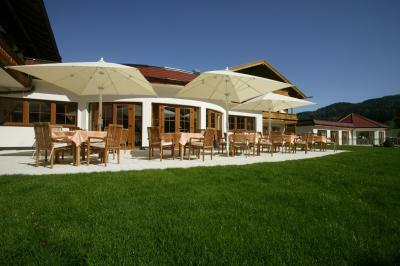 Lock in a great price for Wohlfühlhotel Ortnerhof – rated 8.8 by recent guests! It was a lovely hotel and the service was great. Unfortunately we just spent the night and had to leave before breakfast, so we didn’t have a chance to take advantage of all they had to offer. Staff were excellent and translated the menu into English for us which was a great help as English speaking customers were not very common. the 20 euro half board deal was great value for money too. Das Frühstücksbuffet war eines der abwechsungsreichsten, die ich je gesehen habe! Der Spa-Bereich ist sehr groß und sehr schön. Auch das Hallenbad ist sehr schön, sowie auch sehr sauber. Das Personal durchgängig auch sehr freundlich und zuvorkommend! Idealer Ausgangpunkt für Termine in Traunstein. Sehr gute Lage mit tollem Ausblick! Ich komme wieder! Das Hotel ist familiär geführt und alle sind stets freundlich umd bemüht.Das Personal war sehr freundlich. Der Saunabereich ist sehr schön und Renoviert. Sehr gutes Frühstück, sehr schöner Wellnessbereich. Die neu renovierten Zimmer sind sehr schön, aber noch nicht alle Zimmer sind renoviert. 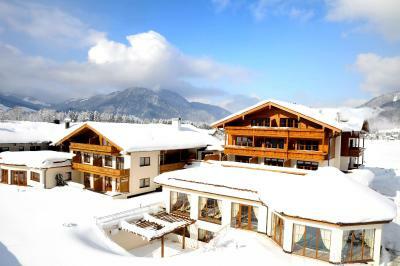 Wohlfühlhotel Ortnerhof This rating is a reflection of how the property compares to the industry standard when it comes to price, facilities and services available. It's based on a self-evaluation by the property. Use this rating to help choose your stay! This attractive spa hotel is surrounded by beautiful scenery and offers a wide range of spa and recreational facilities, making it ideal for both romantic getaways and active family vacations. Treat yourself to a professional beauty treatment or massage, unwind in our indoor pool looking out to the majestic Rauschberg mountain, or explore the unspoiled countryside all around. Following an eventful day, savor the varied cuisine or a nightcap at the bar before retiring to your welcoming, country-style guest room. 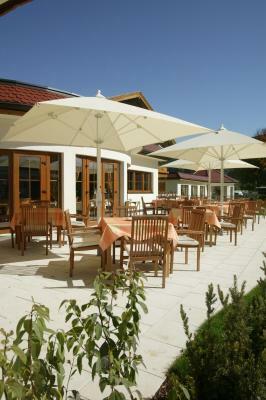 When would you like to stay at Wohlfühlhotel Ortnerhof? This traditionally decorated room features a seating area, flat-screen TV, Wi-Fi and a safe. This traditionally decorated room features a seating area, flat-screen TV, WiFi and a safe. This traditionally decorated, bright room features a seating area, flat-screen TV, WiFi, a telephone, and safe. There is a newly-renovated private bathroom with shower. This traditionally decorated, bright room features a seating area, flat-screen TV, WiFi, a telephone, a safe and private bathroom with shower. This traditionally decorated room features a seating area, flat-screen TV, WiFi, a telephone and a safe. There is also a separate bathroom and a south-facing balcony. This traditionally decorated, bright room features a separate sleeping area, seating area, flat-screen TV, WiFi, a telephone and a safe. There is also a separate bathroom with a shower. House Rules Wohlfühlhotel Ortnerhof takes special requests – add in the next step! Debit card Wohlfühlhotel Ortnerhof accepts these cards and reserves the right to temporarily hold an amount prior to arrival. Wohlfühlhotel Ortnerhof accepts these cards and reserves the right to temporarily hold an amount prior to arrival. 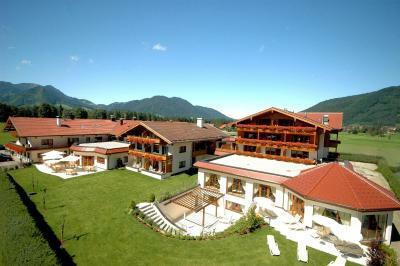 The Wohlfühlhotel Ortnerhof won 2 awards in 2011 - one as a sports/golf hotel and one as a spa hotel. The bathroom though clean was slightly dated.